The Biodiversity Stewardship Program is led by Nature NB in partnership with NB Department of Environment, and was created to engage New Brunswickers to become stewards of the environment. There are currently some 900 Environmentally Significant Areas (ESA), 26 Important Bird Areas (IBA) and 61 Protected Natural Areas (PNA) in New Brunswick. ESA's were selected based on their species richness, presence of a rare species or a geological feature of scientific interest. IBA's were selected to help study bird populations. PNA's are legally protected lands to preserve natural heritage and the conservation of biodiversity. All of these areas are important in protecting New Brunswick's species biodiversity. The Nature NB Biodiversity Stewardship Program engages New Brunswickers to become stewards of these natural areas. MREAC and other partners are invited to assist in survey efforts to catalog and update the status of these diverse areas. 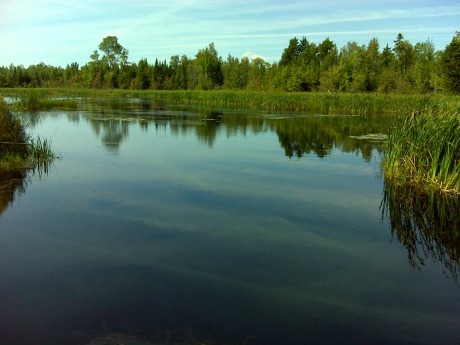 MREAC shares this interest in protecting biodiversity and has been assisting with this project by conducting surveys and updating information on the ESA's in the Miramichi River watershed. The Miramichi River Watershed covers 23% of New Brunswick's land cover, and contains 118 of the 900 ESA's. MREAC will be participating in Nature NB’s project to re-visit and re-survey some of these ecologically significant areas in order to have a current status, and to provide up-to-date information for land-developers. When time and resources allow MREAC will visit sites, collect species information and contribute the data to Nature NB's online database.